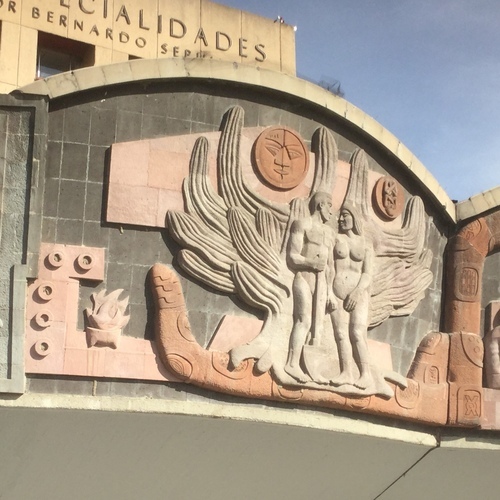 The Centro Médico Nacional Siglo XXI (21th Century National Medical Center) is a hospital in the Colonia Doctores of Mexico City (Av. 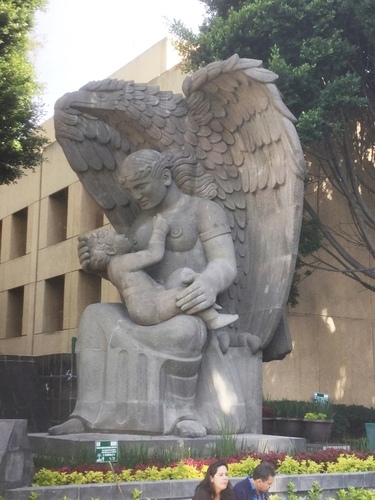 Cuauhtémoc 330), which was founded in 1951 and continues to be runned by governmental organization Instituto Mexicano del Seguro Social - IMSS (The Mexican Social Security Institut). 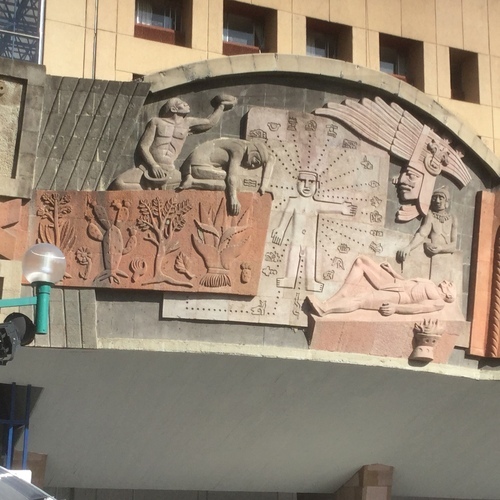 The hospital contains many works of art such as mural paintings, stained glass windows, bas-reliefs and sculptures. 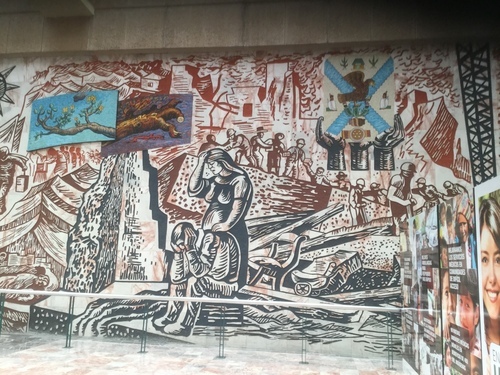 Below we show some of them. 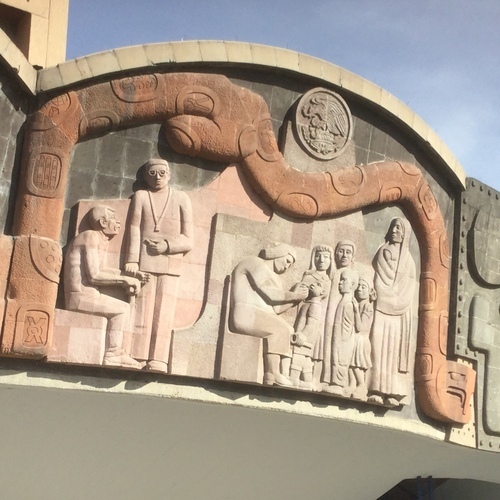 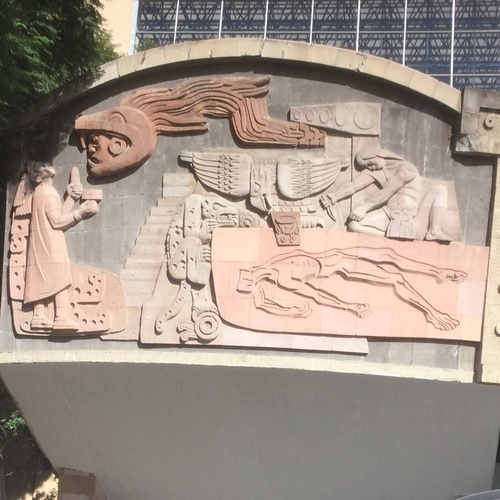 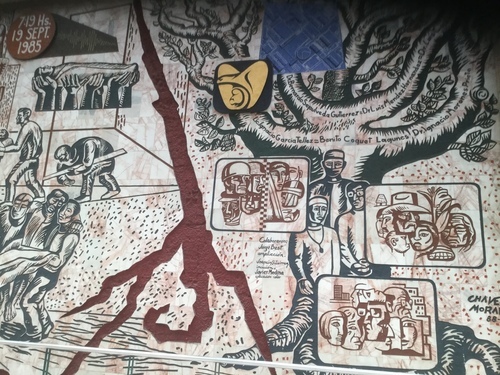 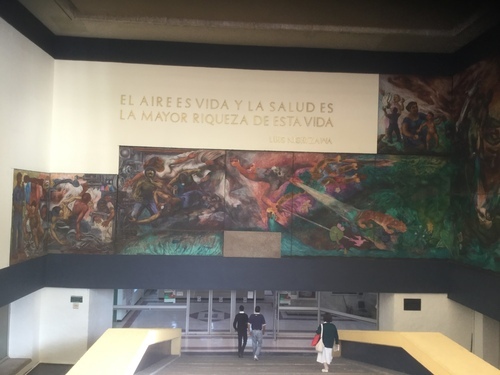 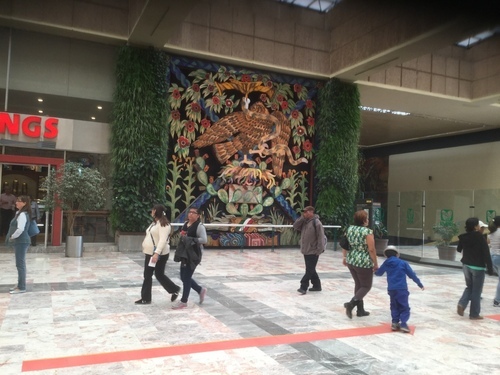 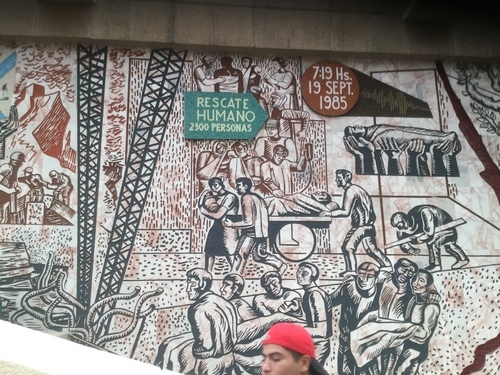 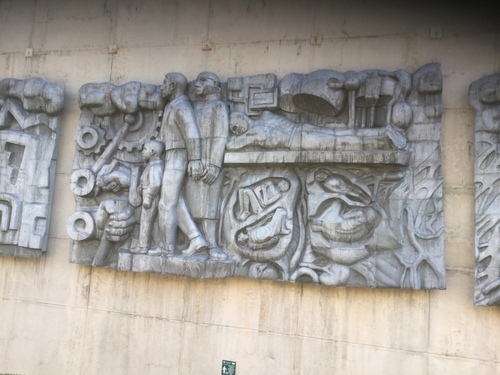 Some typical expressions of Mexican muralism in the hospital have to do with medical history and health-related problems…One of them in the main entrance hall deals with the partial destruction of the Hospital after the 1985 Mexico City earthquake. 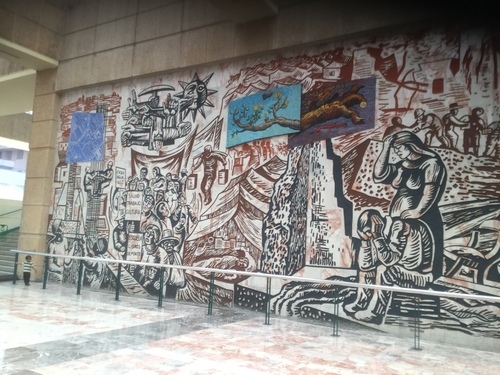 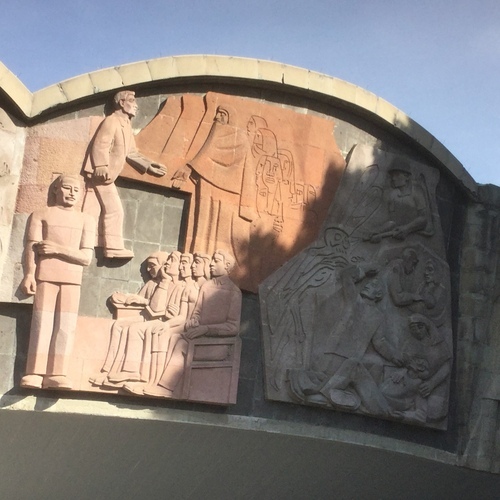 It was painted by muralist José Chávez Morado in 1988. 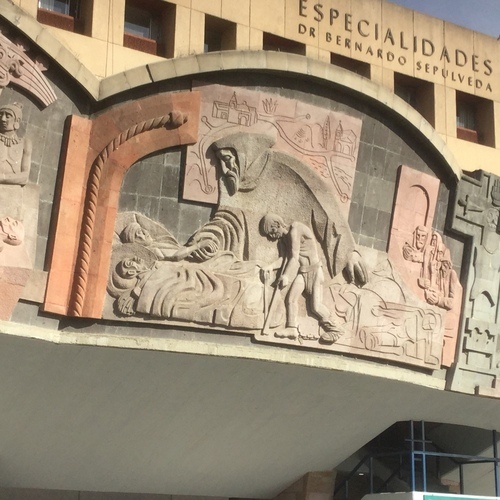 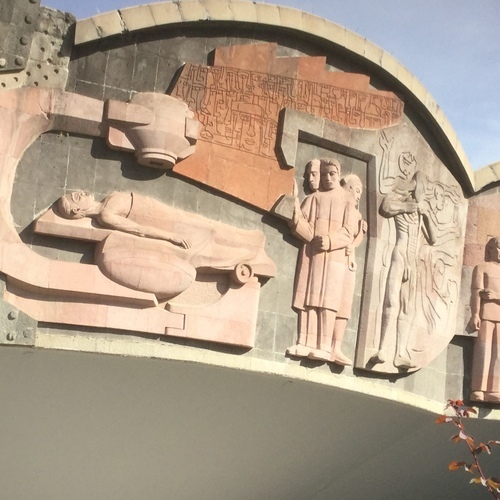 In the main concourse, in front of the Hopital de Especialidades you can see a series of bas-reliefs that trace the history of healthcare and medicine, from ancient times to the contemporary biomedical technologies.